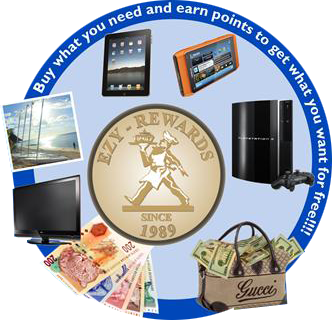 Omni Catering Equipment Manufacturers CC (“Omni Catering”) has introduced a rewards programme to benefit its loyal customers; this is the Ezy Rewards Programme (“the programme”). Purchases and custom will translate into points which may be redeemed for rewards. There are no joining costs. Customers accumulate points on an on-going basis until they have enough points to claim one of the many rewards available in the programme (see our list of the loyalty levels, rewards and the points required to claim them). On signing the Ezy Rewards application form (“the application form”), and on becoming an Ezy Rewards member, the customer will receive an Ezy Rewards Card (“the card”). Members will receive notification by email / sms of each time points are loaded onto the card. On reaching the points required for each level of reward, members will receive notification by email / sms and will have an opportunity to either redeem the relevant reward or bank the points in order to attain the next level. A statement of points standing may be accessed by members on line. Members will be notified of our exciting promotions and any other exclusive opportunities from time to time. Application forms may be obtained from our sales consultants or on line. Points may be earned on purchases made at any branch of Omni Catering.